Take a tour through Quebec’s many wide-open wintry spaces with the friendliest tour guides around. One of Quebec’s original forms of transportation, dogsledding is now one of the funnest ways to explore the Canadian wilderness during the wintertime. 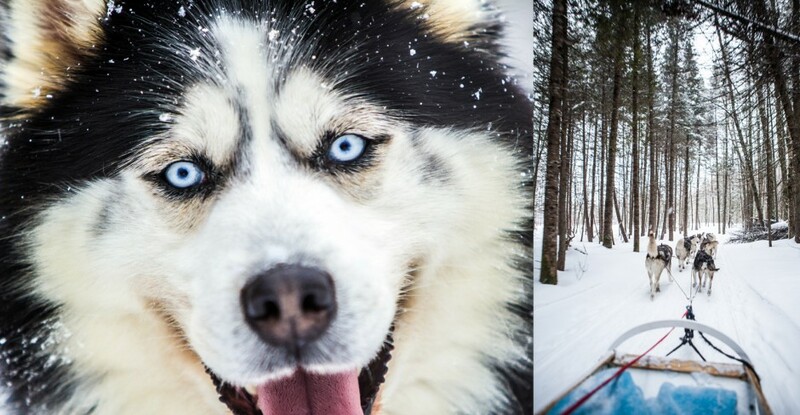 You can learn how to drive a team of huskies as they pull your sled between trees and through the snow. They might look all cuddly and adorable, but these dogs can definitely pull more than your weight. Trying to use your own body weight to get them to stop or slow down is more of a vague suggestion than a command, but these huskies know what they’re doing with or without your help. And it’s clear the dogs are completely in their element, having a blast, and totally at ease in the environment. The Chic-Choc Mountains on the Gaspé Peninsula have some of the best backcountry slopes in eastern North America, hands down. Summits within the Chic-Chocs are steep, dropping straight down toward the St. Lawrence River, and get dumped on pretty frequently with lake-effect snow, thanks to the nearby gulf. Your Chic-Chocs experience can be as rugged or as luxurious as you want. 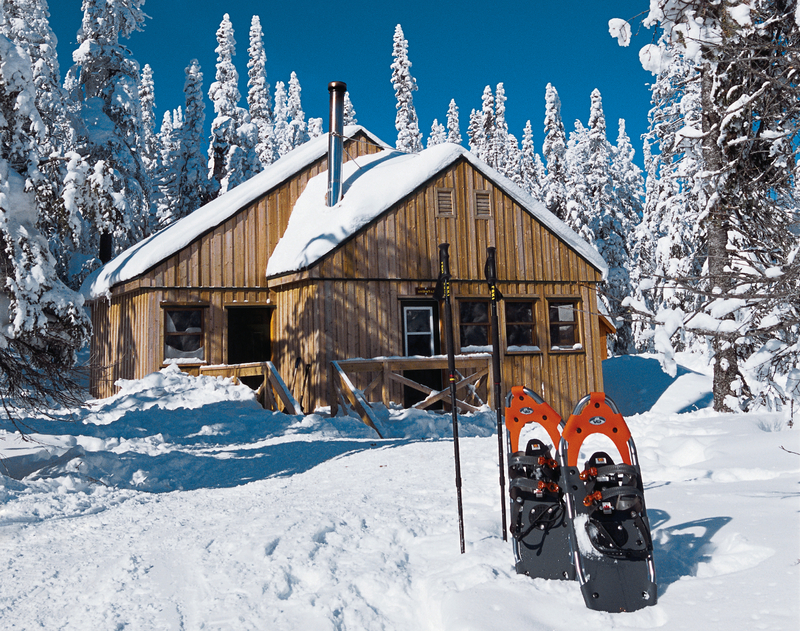 The Auberge Gîte du Mont-Albert makes a great starting point for your backcountry adventure, or you can head to the Chic-Chocs Mountain Lodge, Quebec’s first backcountry mountain lodge — and it’s a fancy one — though there are also some backcountry huts scattered around the wilderness. Snowshoe, hike, or skin up to find your lines, or you can arrange a pick-up with Ski Chic-Chocs, the only cat ski operation within Gaspésie National Park. Quebec was the birthplace of the very first snowmobile club in the world, so they definitely know what they’re doing when it comes to maintaining well-groomed trails just for sledders. There are over 20,000 miles of interconnected trails in the province for snowmobiling. 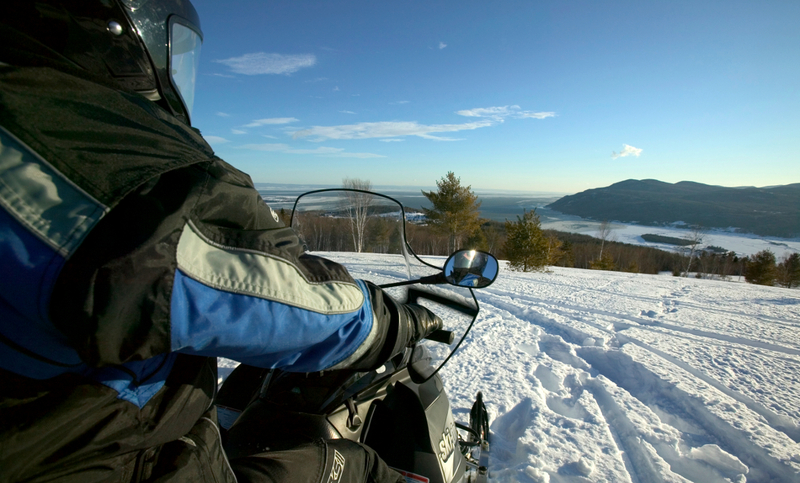 The Lanaudiere and Mauricie regions in Quebec are frequently referred to as where you’ll find the most “perfect” snowmobile trails on the planet. The town of Saint-Michel-des-Saints in Lanaudiere is a huge motoneige hotspot — you can rent all kinds of snowmobiles here, including a variety of super high-performance sleds, before heading off on the surrounding trail systems that interconnect several small-town stops throughout the region. There are about 3,000 miles of trails here, including the renowned Trail 355 — the Pipeline. Here, you’ll find a roller coaster of well-groomed trails for miles and miles, all of which come with awesome wilderness views. During the winter in Quebec, there’s literally no way to avoid the cold, so you might as well embrace it. 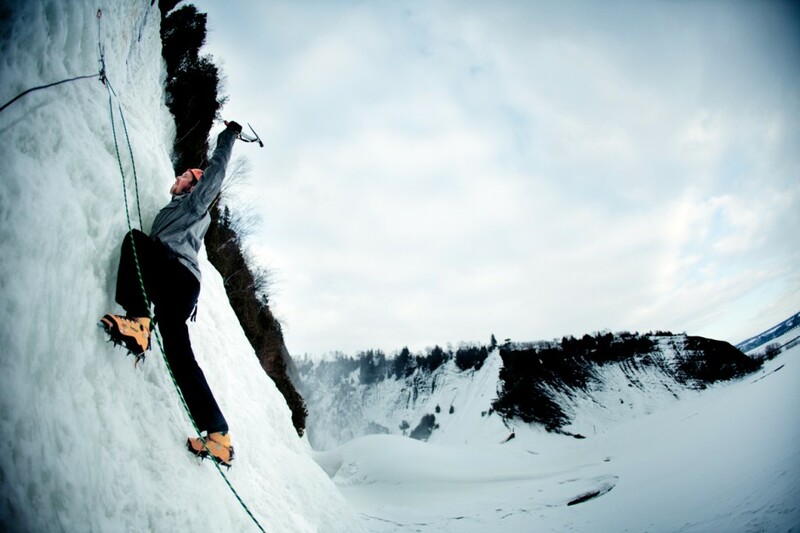 Montmorency Falls, the highest in the province, is a hugely popular ice climbing spot outside of Quebec City. There are routes up the falls of varying intensity, and it’s not a bad spot for beginners to work on their swings or hop in on a guided lesson/tour up the falls. Or, head to Northern Quebec for monster ice pillars in brutal locations, like the Mulot (90-100 degree pitches) and Capteur de Reve, one of the most elusive climbing destinations in the area, as it rarely forms climbable lines. When Quebec’s nights get longer and temperatures drop, you can make the trek north to try to catch a glimpse of the aurora borealis. One of the best spots to witness the phenomenon is Kuujjuaq, Nunavik, where the open tundra and the absence of city lights make the Northern Lights more pronounced. There are several adventure outfitters in the area to help keep you alive in the -25 C winter and to show you how to navigate using natural markers like the sun, stars, and wind. They’ll also help get you settled into your igloos (some operators will even teach you how to build them) and transport you around the tundra via snowmobile or dog sled. The Northern Lights might be unpredictable, but even if you miss them, sleeping out in a traditional Inuit igloo with herds of caribou ambling by is a pretty uniquely Arctic experience. Fjords aren’t just for Scandinavia — Quebec’s Saguenay Fjord is the southernmost fjord on the continent and one of the ten longest in the world. There’s tons of wildlife in the surrounding national park, including the endangered peregrine falcon and about a thousand beluga whales that live in the area year-round. And during the colder winter months, once the water is frozen over, there’s tons of ice fishing for Atlantic cod, rainbow smelt, Greenland halibut, and Atlantic redfish. You can also snowshoe up to higher viewpoints for aerial views of the fjord, or even skin up to some backcountry ski trails for runs with an epic backdrop. When it comes to traversing the subarctic winter landscape of northern Quebec, there’s no more fitting means than by snowshoe. This form of conveyance has been used in the region for thousands of years, and it was the Inuit and First Nations peoples of Quebec who developed the most advanced shoe designs, prior to the advent of modern manufacturing. During the spring, you can travel up to one of North America’s great wildernesses: Kuururjuaq National Park, near the tip of the Quebec-Labrador Peninsula, where the Koroc River flows through a forested valley between the 5,000ft peaks of the Torngat Mountains. Here, you can arrange multi-day snowshoe treks that include nights in heated tents and wilderness camps, knowledgeable local guides, and some of the best winter scenery you could hope to find. There’s not many cities in North America quite like Quebec City. Walking down Rue du Petit-Champlain or one of the many winding streets in Old Town Quebec during the winter feels a lot like stepping into an animated Disney cartoon, complete with talking wildlife and some kind of sparkly magic dust. Quebec City is one of the very few walled cities in North America. During the winter, when the St. Louis Gate is illuminated and horse-drawn carriages clop through the snow, it’s easy to forget where you are. This post was sponsored by Québec Original. To learn more about exploring Quebec’s natural wonders, click here. This post is proudly produced in partnership with Tourism Quebec.